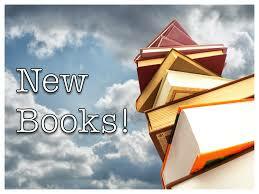 See what new acquisitions have been recently added to the Oesper collection. 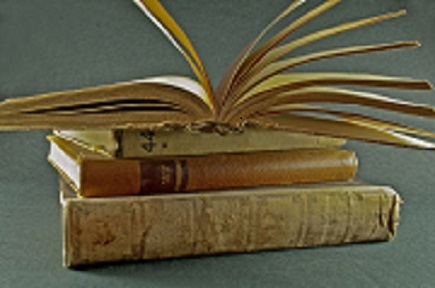 Click here to access the May-June 2017 list. Closeup of part of the Ch scale for the circa 1960 Hemmi 257 chemical slide rule. Issue 44 gives a glimpse of two classic chemical slide rules found in the Oesper Collections, one dating from 1814 and the other from 1960. 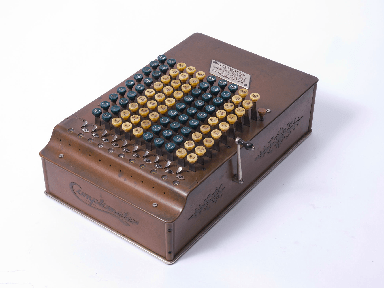 Issue 43 gives a brief overview of some of the desktop and hand-held calculators used by chemists over the years and currently on display in the hallway outside of the Oesper Collections in Rieveschl Hall. 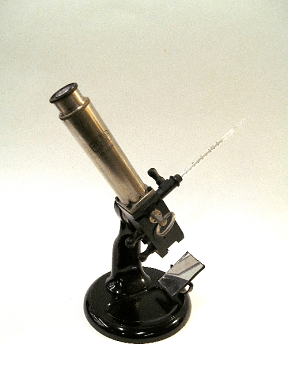 The circa 1920 Zeiss butter refractometer recently acquired by the Oesper Collections. 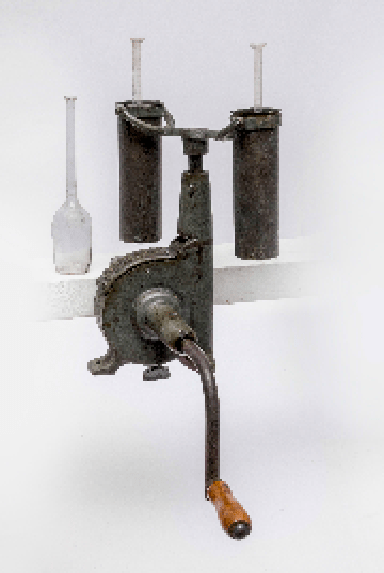 Issue 42 describes a new addition to the museum’s refractometer collection – a circa 1920 Zeiss butter refractometer – and its historical importance as a means for rapidly differentiating between pure butter and margarine. 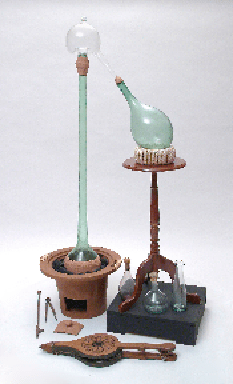 The Varian E-4 EPR instrument as it appeared while still in use in Dr. Bobst’s laboratory. Issue 41 describes a new addition to the instrument collection on the mezzanine of the chemistry-biology library. 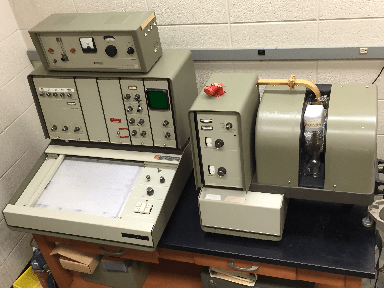 Dating from the early 1970s, this desktop Varian E-4 Electron Paramagnetic Resonance (EPR) Spectrometer was donated by Dr. Albert Bobst of the UC Chemistry Department.